Your organic search competitors may not be the sites you think. 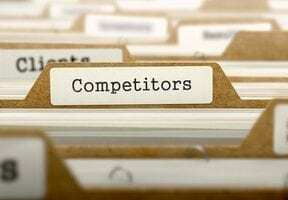 What matters is who Google and Bing and other search engines think your competition is. They determine which sites rank for individual keywords based on criteria that have little to do with your business model. To keep things simple, let’s start with Google, which drives the vast majority of search traffic in the U.S.
First, determine which keywords to target. Yes, you want to win for your brand name, but that’s usually doable. Make sure you include nonbranded keywords. Those are more difficult to rank for but also can drive many more searchers to your site. The sites that rank and win clicks are your competitors. Putting on your blinders and competing against companies that share your business model but don’t perform in natural search will leave your site on the second page. 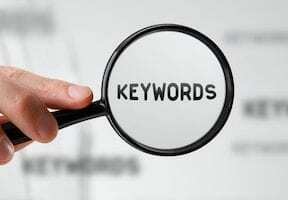 Which sites rank for your targeted keywords? SEO platforms can identify them automatically. Or you can do it manually. If you have an enterprise-level SEO platform — Searchmetrics, BrightEdge, Moz — collecting competitive analysis data is pretty simple: It does it for you. These tools look at every keyword you rank for and determine who also ranks for it. Those sites are your competitive set. You’ll receive a helpful visual (for executives) and, also, much more in-depth data to analyze. Searchmetrics displays competitors aggregated across all the keywords you rank for. Click image to enlarge. You can learn from the sites that rank for your keywords but aren’t necessarily the sites that you want to target as competitors. You’ll also be able to create a keyword set with phrases you’d like to rank on, or rank better on. The process varies by platform, but the ability is baked into each. This ideal keyword set will help you learn what to do differently. A spreadsheet showing a simple rankings data set for “winter boots.” Click image to enlarge. To populate that rankings spreadsheet, use Google Ads’ Ad Preview and Diagnosis tool, which shows the search results for any keyword phrase in any region of the world on any device. 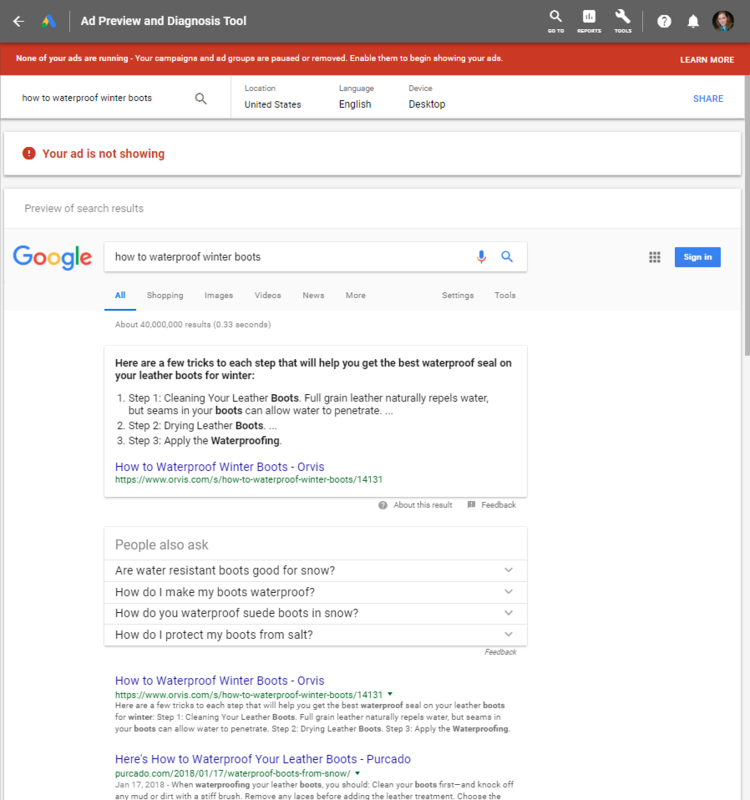 Google’s Ad Preview and Diagnosis tool shows keyword rankings for, in this example, the phrase “how to waterproof winter boots.” Click image to enlarge. The Google Ads tools are free, though Google will try to get you to enter a credit card since its ultimate goal is to sell search advertising. Keep looking for the options that say “Skip this step” or “Complete later,” and you’ll get to a free state where you can use the tools it provides. As a bonus, this free Google Ads account also provides access to the Google Keyword Planner, where you can see the relative value of individual keywords. These values are shown in broad ranges, such as “1K – 100K,” but they can give you an idea of scale. If you have access to a Google Ads account with an active paid search campaign, you can get much more specific data on keyword demand. This manual method is time-consuming. However, a couple of hours should see you through 50 to 100 keywords. That’s a decent size for a small-to-midsized ecommerce company. Larger sites should probably use an enterprise SEO platform anyway. To kick the tires of some of these packages, consider a free trial. You’ll get the data you need for this analysis, as well as an understanding of which tools suit your needs. A competitive analysis is an educational tool. Learn from the sites that outperform yours. Review their content strategies, site architectures, and backlink portfolios. Deconstruct those resources to find pieces you can use on your site, with your spin. But merely copying what competitors are doing will not help you to pass them, unless you have a larger backlink portfolio. Use the competitive analysis as a springboard for new ideas and fresh content. Perhaps a competitor has an impressive frequently-asked-questions section that ranks well for informational keyword phrases. How can you make it yours better (for natural search)? Say a competitor’s FAQ page is one long list of questions and answers. Perhaps you could try Schema structured data to help to win answer boxes in Google. Or target a new, unused group of keywords. Or split the FAQ into separate pages so that each can target a specific keyword theme. Those three ideas illustrate how easy it can be to improve on the competition — and outrank it.